Showing results by author "Dom J Chiaravalloti"
How is 2018 gonna be for you? Well, do you ever find yourself thinking: "I thought I'd be further ahead by now"? If so, you aren't alone. 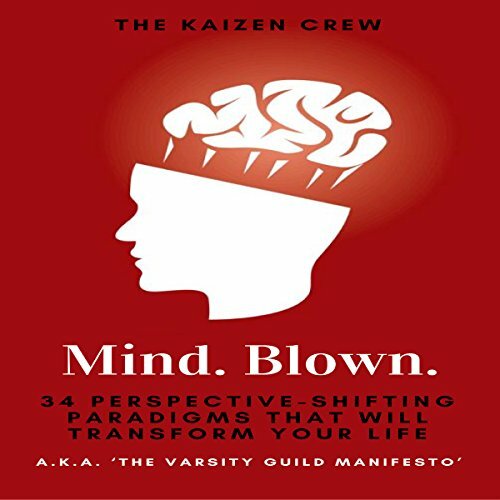 In this active practice blueprint to a better life, the Kaizen Crew (a team of entrepreneurs, performers, and various industry consultants) explains the 34 self-transformation paradigms that will make you see everything more clearly, and get you moving ahead as soon as you start applying them. The millennial generation is the most educated and resourceful generation in human history, and with the technology boom this new generation is better-equipped for change than anyone in human history...so why is this generation stuck?